The quest continues although I still haven’t tried Julia Child’s recipe. I probably should have. Last night I made pitas to accompany a falafel and tzatziki meal and they were once again less than impressive. Significantly, they were less than flavorful and I should have known. When I confided in C that I loved the taste of raw dough he made a face. But after sampling the dough for last night’s pita dough I knew the recipe was not going to turn out well. The risen dough tasted like flour and water. Well duh, you say, but I’ve tasted much more flavorful dough and in turn more flavorful breads and the baked pitas also tasted like flour and water, but now in solid form. However, as tasteless as they were they did puff magnificently. 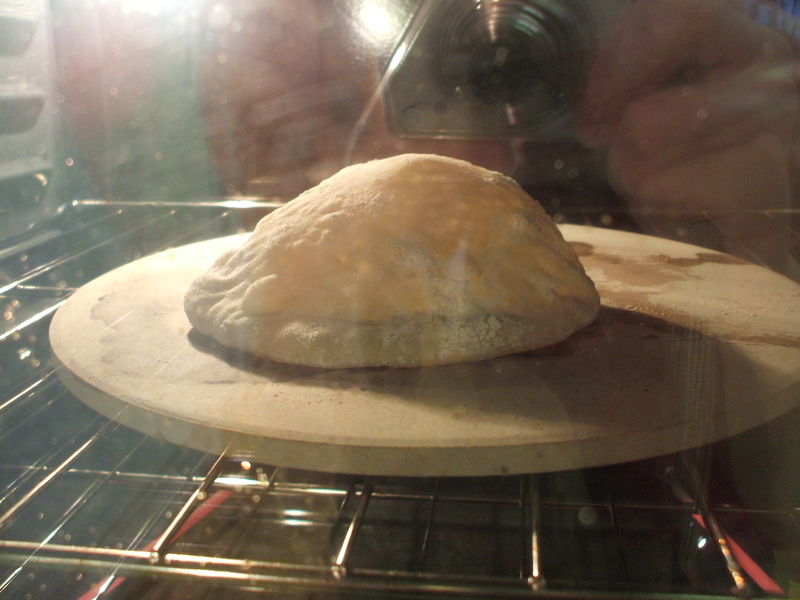 Watching a pita bread rise and puff is like watching a flower bloom in time-lapse film. 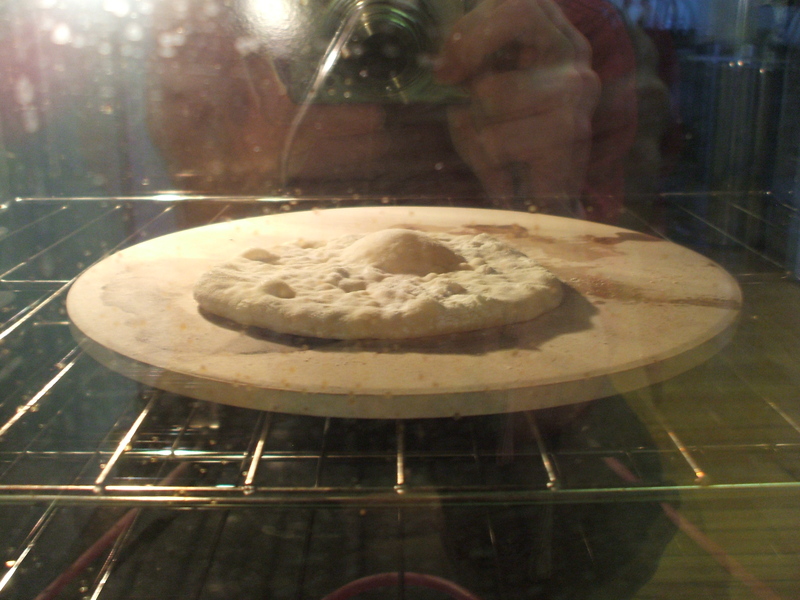 In just 3 minutes the bread rises from a flat disc of dough to a gluten balloon ready to lift off the baking stone. Every baker should try their hand at pitas at least once, provided of course that they have a great recipe.